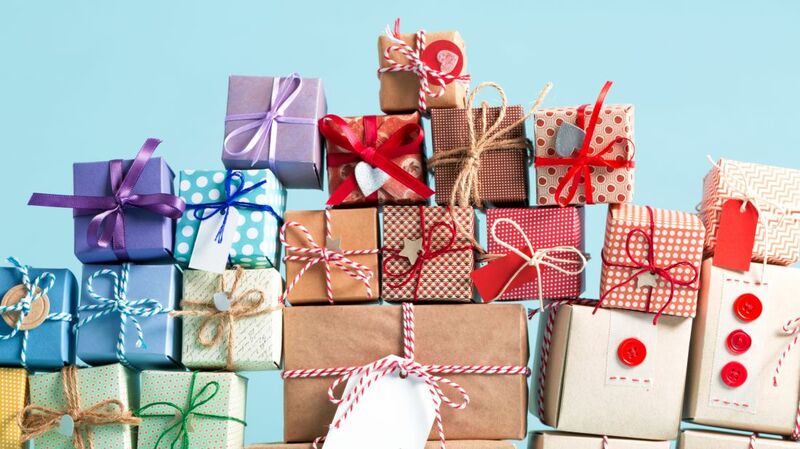 Selecting the perfect present can be tough—so why not leave it to the pros? Each of these 25 subscription boxes—for everyone from the wine lover to the makeup junkie—is curated by a team of experts. So whether your bestie is obsessed with coffee or really into knitting, you can find a gift that will make them sing your praises. Give the gift of polished prose. Subscribers receive an email on the first of each month detailing five books selected by a panel of judges. They input their choice and the tome arrives at their door a week later. Want to join in the fun? When you purchase a subscription for a pal, you get half-off your own three-month membership. Find It at Book of the Month Club. Here’s what to get that sporty pal who’s always conquering a new mountain or setting up camp in a remote place you’ve never heard of. Each season—they’ll pocket a crate of outdoorsy loot (think: a backpack or an inflatable hammock) they can put to good use. For newbies, add the $200 starter box filled with essentials such as a headlamp, stove, and medical kit. Find It at Isle Box. Chock full of lust-worthy, pop-culture collectibles, this gift will thrill the proud geek in your life. Monthly deliveries are theme-oriented. But if your pal is fixated on a particular franchise, you can opt for a one-off limited edition crate like the ones dedicated to Gears of War 4 or South Park. Find It at Loot Crate. Deliver a monthly perk-me-up: A coffee curator will work with your java-loving pal to determine their preferences. Then, every 30 days they’ll open a new 12-ounce bag of whole beans thoughtfully selected from more than 300 fresh-roasted blends. Find It at Misto Box. Dubbed the subscription club for men, Bespoke Post delivers carefully curated themed collections of home goods, accessories, grooming products, food, and alcohol. Your bud gets to preview the selection each month so if Copper (custom hammered mugs, crushed ice and ginger syrup to make a perfect Moscow Mule) or The Barber (a razor and other shaving goodies) isn’t for them, they can opt out. Find It at Bespoke Post. This service is perfect for those that put thought into accessorizing from head to toe. (Emphasis on the toes.) Once they share if they prefer patterns (i.e. polka dots and stripes), graphic designs (say, pizza slices? ), or both, they get a monthly shipment of up to four pairs of snazzy socks. Find It at Say It With A Sock. Help your luminary-loving friend burn, baby, burn. You choose the gift—a 4-ounce candle, an 8-ounce, or both—and every 30 days they’ll get a new scent to light up plus a surprise gift! Meet the answer to the 4 p.m. cravings. Delivered weekly, bi-weekly, or once a month, the eight-snack pack is filled with perfectly portioned bites that are free of artificial flavors, preservatives, trans fats, and high fructose corn syrup. On their menu of more than 100 good-for-you, 150-calorie-and-under treats: berry compote with shortbread dippers and apple and cinnamon flapjacks. The editors at celebrity and lifestyle site POPSUGAR—who test-drive countless beauty products, accessories, and foods—curate these seasonal arrivals. Expect boxes packed with over $250 worth of gluten-free treats, on-trend cosmetics, and fun conversation pieces like emoji cocktail napkins and an inflatable swan drink holder. Find It at POPSUGAR Must Have. Inspire budding innovators. These kits—the Kiwi Crates are for ages 5 to 8; Tinker is age 9 to 16—are designed to get kids engaged in science, technology, engineering, art and math. Each includes a kid-tested, expert-reviewed project, instructions and a magazine to stimulate more ideas. Find It at Kiwi Crate Inc. These packages will please even the finickiest of felines. Shipments are stocked with all-natural treats and toys (see: a wool felt bell stuffed with catnip), with a side of largesse. A portion of proceeds go to shelters, rescue groups, and other cat-related causes. For your pal with the discerning palate, opt for this three-bottle-a-month service. Pre-delivery, they’ll be quizzed on their taste preferences so they’re ensured vintages they’re eager to uncork. Skip the iTunes gift card: With this service your old-school pal scores a limited edition vinyl LP each month along with a 12-inch-by-12-inch print inspired by the album and a recipe for a cocktail meant to be enjoyed as they listen. They’ll also get a $25 coupon to purchase more albums. Record player not included. Choose from themes like the Rap & Hip-Hop or Classics, which features blues, jazz, and soul artists. Find It at Vinyl Me Please. Thanks to you, your giftee will be able to say they’ve been listening to that hot new artist for years. Vinylmnky keys in on emerging musicians before they become the next big thing and sends their subscribers a vinyl copy of their album, a custom lithograph, and a special add-on like an autographed poster. Perfect for your BFF who refuses to eat meat and gets teary-eyed at the thought of cosmetic companies testing on adorable bunnies. Each month, they can up their beauty game with between four and seven makeup and skincare products (retail value: roughly $50) that are all cruelty-free. Find It at Vegan Cuts. Nudge your boyfriend into a more stylish 2018 or keep your sartorially inclined brother in the loop. A team of in-the-know trendsetters curates this monthly delivery of designer goodies (valued at more than $100), so they can rest assured that their new tie, pocket square, or shiny cufflinks are stylist-approved. Find It at Sprezza Box. Rather than spring for another bottle of whisky, surprise the aspiring mixologist in your life with this DIY cocktail kit. Their monthly arrival includes recipe cards (the fancy mixes are created by top bartenders) and small batches of the necessary liquors, syrups, bitters, and garnishes. Gift this now; reap a handmade scarf next year. Each month, wannabe knitters are sent a project in a box—all of the supplies they need to craft a certain item, plus step-by-step instructions for getting it done. And if they hit an, er, knotty spot, they can head online for video tutorials. Find It at Knit Wise. If your pal’s knitting hobby is firmly established, opt for this service that delivers a full-size skein of premium yarn (suited to their color preferences) plus a knitting or crochet pattern. (And they’ll usually throw in fun extras like a “My Hobby Takes Balls!” pin.) They also have a Sock Crush option for those dedicated to cozy feet warmers or you can spring for the one-time-only $75 Holiday box with yarn, patterns, books, and handmade trinkets. Find It at Yarn Crush. Fashionable goodies for all seasons! Every three months, members collect a virtual swag bag of full-size products hand-selected by the FabFitFun tastemakers as well as a compact guide that details each brand and features interviews from pros. In vogue items include adult coloring books, eye shadow palettes, and yoga towels. You know that friend who always has the most Pinterest-worthy holiday cookies? Treat them to this monthly service. They’ll receive a new dessert recipe each month along with the pre-measured dry ingredients, including hard-to-find artisanal eats like matcha and dulce de leche. You’ll receive a steady infusion of pecan covered cinnamon rolls and poppy seed shortbread. Find It at Whisk & Flour. Perfect for the hostess with the, well, you know. Shipped every two months, the curated crate includes up to seven entertaining must-haves such as a decorative wine stopper, a gold cocktail shaker and strainer, and porcelain coasters. Potential buyers are able to check out the contents before they order, guaranteeing they’ll never be stuck with something they don’t want. Find It at Mostess Box. A personal shopper at your fingertips: Users fill out a style profile, detailing their size, price and trend preferences, then receive five clothing items, from designers like Citizens for Humanity or Joie, hand-picked by their personal fashion guru. They can buy the pieces they like—the $20 style fee goes toward the cost—and ship back the rest (for free!). And if they don't need a monthly update to their closet, your giftee can schedule deliveries on-demand, at whatever frequency works best. Find It at Stitch Fix. Consider this a monthly reminder to unleash their inner Martha Stewart. Kits come stocked with everything they’ll need to complete a cute DIY project such as a wine caddy or wine and cheese chalkboard serving tray. They simply use the included supplies, craft, and then show off their work on Instagram! Find It at Adults & Crafts.